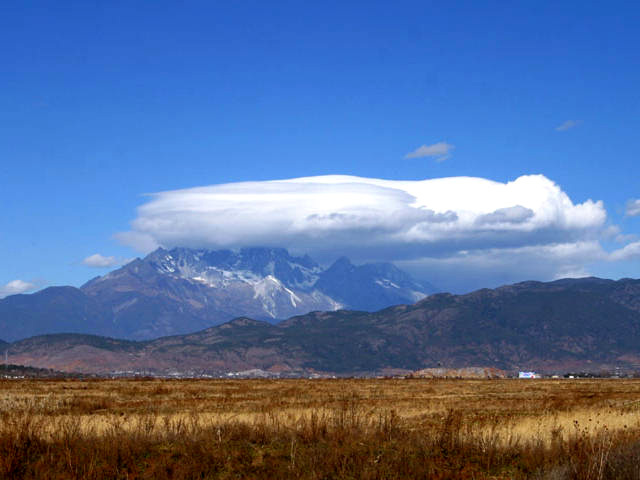 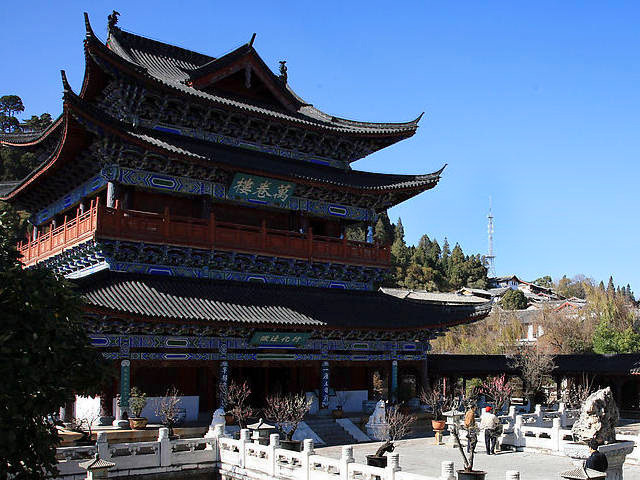 Wangu Pagoda on the Lion Hill and Mu's residence in Lijiang could fully represent the style of the Naxi architecture. 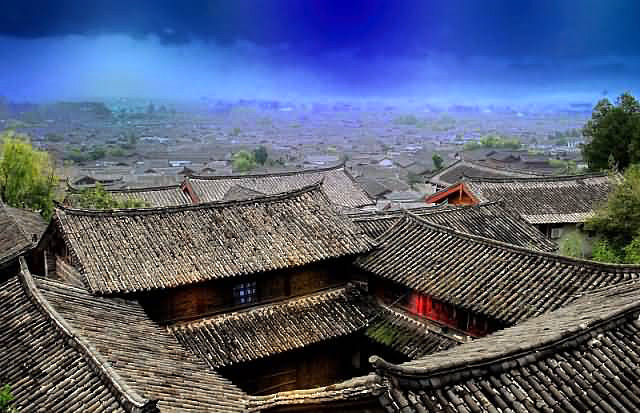 The Naxi architecture is mostly influenced by a number of groups such as the Han, Bai, and Tibetan and is affected by where they are located. 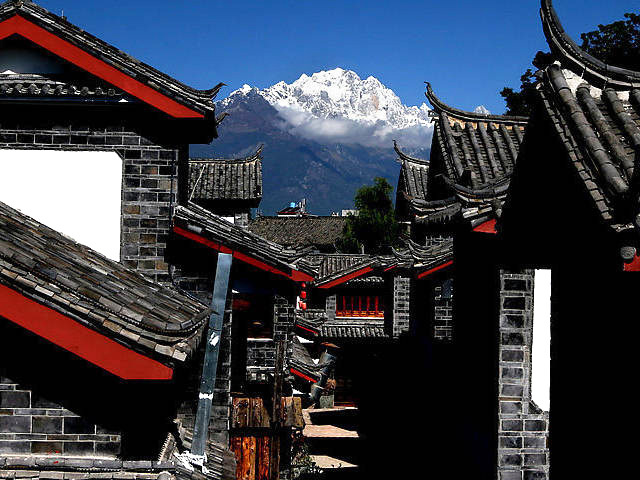 Houses in Lijiang have roof tiles and made of soil and wood or soil and stone. 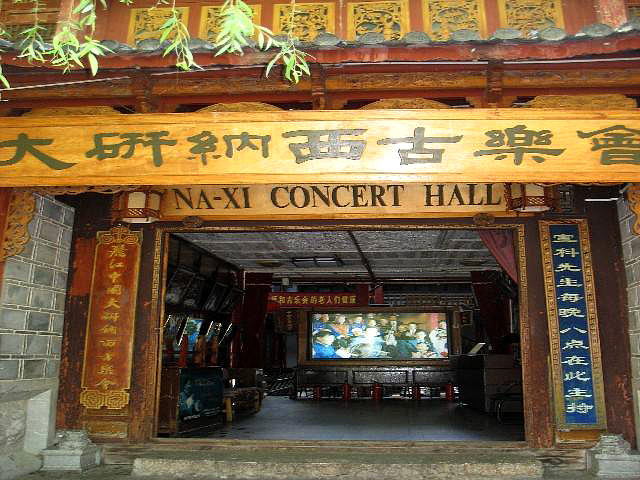 Like in Dali most of the houses have three directions with a screen wall facing the gate of the house.